A career in the construction industry is one of the most fulfilling career choices you can ever make. The world will always need bridges, homes, and other structures. There are various benefits of choosing to be part of this industry. Best of all, it is a massive industry with many areas in which you can work. Here is a bit more about this industry. You will also get to learn why it might be a great choice for a career. As the economy has continued to grow from strength to strength, spending on construction has skyrocketed. This was after it bottomed out at $754 million in 2011. Recent data shows that annual spending in the industry is about $1.31 trillion. This represents an increase of 73 percent. Few, if any other industries have seen such massive growth. According to data from the US Chamber of Commerce released in June 2018, 65 percent of small contractors said they were having trouble finding skilled labor. As a result, they have been forced to raise wages to compete for labor. This is especially so when it comes to specialty skills such as electricians and painters. In fact, data from the Bureau of Labor Statistics show this is the case. Construction workers have been seeing above average wage growth. Those with specialty skills saw wage growth of about 9 percent, which was about three times that of the average construction worker. If you are looking for a career path that assures you of finding work and steady wage increases, this is the industry to join. The construction industry has been facing a shortage of workers due to the overall great performance of the economy. Right now, the nation is facing the lowest unemployment rate in 18 years and this has forced employers in construction to get creative. Many employers are training their employees in order to avoid high turnover rates. Right now, millennials and Generation Z make up about 33% of the workforce and career development is something they value. If you are in this generation, you can be assured of growing your skill level at the expense of your employer. It makes it one of the most opportune times to be part of the industry. If you want to become a contractor in this industry, you will most likely have to learn through hands-on training. With the huge labor shortage, most employers now have internship programs to help them attract and retain employees. You can get apprenticeships in plumbing, carpentry, and masonry. If you wish to get a bachelor’s degree, you can find many accredited programs in colleges all around the US. With the construction boom, most of these colleges are also reviving programs that they might have put on hold to support the industry. You can also get a master’s degree if you wish to work for major construction management companies. However, educational level is not usually a hindrance to joining the industry. Companies in the construction industry build some of the most iconic buildings in the world. The build bridges, hotels, and many other structures. Some of these structures end up being an important part of history and you could be part of it too. If you have always wanted to be part of something meaningful and fulfilling, you might get the opportunity through this industry. There is also the fact that you can see progress at the end of every construction day. This is great for people who seek fulfillment from their efforts. You will see a structure progress daily, which can help you feel good about your work. If you are a team player and someone who enjoys working with others, the construction industry was made for you. While everything seems perfect on paper, it does not always work out that way. In most cases, you will have to brainstorm with team members to figure out tricky situations. Sometimes, you might need to correct mistakes made by others by working through the issues as a group. This is an enjoyable part of the construction industry. Every day is an opportunity to work through an issue as a team to find the best solution. If you hate the monotony of an office job, perhaps you should think of joining the construction world. No two days are the same in this industry. If you found Monday boring, do not worry, you will be doing something new and interesting by Friday. There is also the fact that no two projects are the same. While you could be working on a commercial building this month, you could move on to a bigger and more interesting bridge project next year. Every few weeks or months, you will always have something new to do. This makes it a perfect industry to join if you like a bit of excitement in your life. You do not have to deal with depressing monotony ever. Technology has played an important role in improving site safety in the construction industry. For instance, there is better communication technology that allows workers to coordinate their activities. This helps them to avoid any unnecessary risks. One technology that has had a meaningful impact on construction sites is drone technology. The drones are used to survey sites and inspect structures, which eliminates the need to send someone in there to get the job done. Drones are also often used to monitor workers during the day. As a result, it is easy to confirm that all workers are working safely. They also take photos, which are used to inform workers of changing site conditions, reducing the risk of injury. The construction industry is one of the most diverse places to work. In this industry, which is also quite large, people come from all backgrounds and careers. You will always have a chance to meet from all over the world, especially if you are working on a large project. If you have always wondered how you can grow your social network and learn about diverse cultures, the industry is the perfect place to be. Another reason to join the construction industry is there are always opportunities for career advancement. You could join the industry straight out of high school with no definite skills. However, you get to acquire these skills through apprenticeship programs and in-house training opportunities. In just a few months, you could move from an unskilled to a skilled worker. If you work hard at it, you might even become a contractor in a few years, with his or her own small company. This is hard to achieve in many other careers. In most cases, you are stuck in a job that has few opportunities for vertical advancement. Unlike most other careers, there is always a better paying job in the industry if you have the skills. In fact, some of the biggest companies in the US are in the construction industry. Some of them started quite small but were able to grow through hard work and discipline. If you have always wanted to tours the US, this is the perfect career to do so. In fact, you might get a chance to travel the world, depending on your skills set. For instance, if you are a really skilled crane operator, you might get the chance to work in Dubai or in any other place in the world. You could be on the east coast this month and in the North West a few months later. The industry always has projects and these projects take place all over the nation. You will get to tour the world without having to pay for it. You will visit places that you might never have thought possible if you sharpen your skills. This is an industry where only your skills matter. Most people who join the construction industry never leave. When you might have started out as a basic worker, your skills with time could help you become a site manager. This means that even as you age, you do not have to worry about being out of a job. If you want a career that will guarantee you job security for the rest of your life, your best bet is the construction industry. There will always be a project that needs to be done. Working in the construction industry can be one of the most rewarding decisions you will ever make. It offers both financial and personal security for the worker and their family. The reasons that have been discussed above should be more than enough to convince anyone to join the construction industry. If you are confused about which career you should join, give the construction industry a chance, you might end up loving it. AC Owen Construction in Oklahoma City specializes in general contracting, construction management, and design build services for construction in Oklahoma. 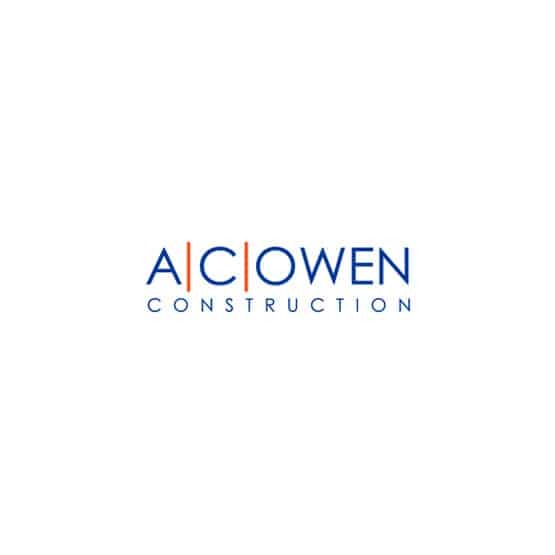 AC Owen Construction in Tulsa and Oklahoma City. AC Owen Construction in OKC.